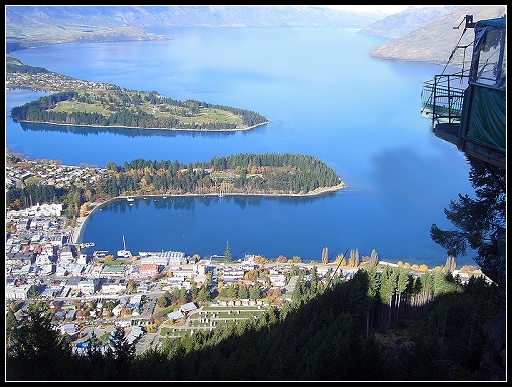 Located on the South Island, Queenstown is situated on Lake Wakatipu and surrounded by mountains and is considered by many to be in one of the most scenic areas of the world. The Maori were early inhabitants followed by European farmers drawn by the rich soil. In the mid 1800s an influx of new inhabitants settled in the area because of the discovery of gold. Today both tourists and retirees come to this vibrant cosmopolitan city for the many things it has to offer from its clear air and waters to its many attractions. Queenstown summers exhibit long warm days and winters are cold with some snow, although extended snow cover is rare. The City is considered to be a four-season resort with activities ranging from fly fishing to parasailing to skiing to ballooning and much more. Over 75 wineries produce a wide range of wine and many are open for tours. The Arts in Queenstown include the New Zealand Symphony Orchestra, the Royal Ballet and the art and culture of the indigenous Maoris. Weather: lows in the low 30s in Jun-Aug with highs in the low 70s in Jan-Feb.
Income Tax: Non-residents in New Zealand pay tax only on income derived in New Zealand. There are no capital gains or inheritance taxes in New Zealand. The tax rate on income earned in New Zealand ranges from 10.5% to 33%. Does Your Retirement Future Include Road Trips…in an RV Perhaps?